This is a translucent silicon rubber button pad with 4 buttons orignally inspired by the folks at monome.org. 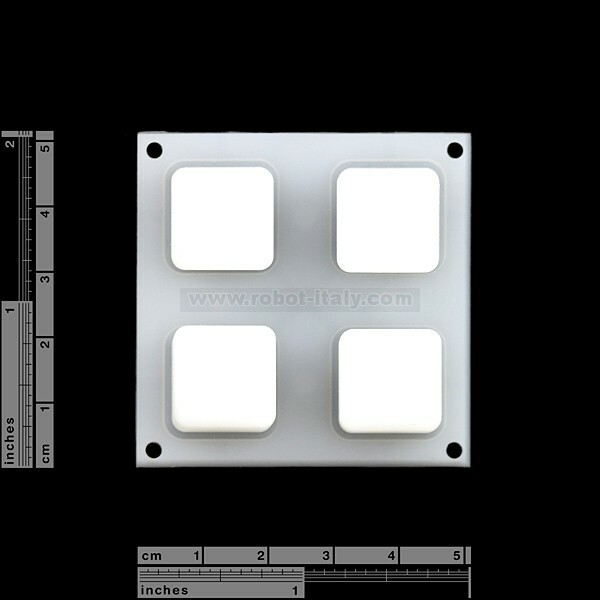 Each button has a hole underneath that accepts either a 3mm or 5mm standard LED. The idea is that you can create a button interface of your choice with the ability to display simple colors under each button. 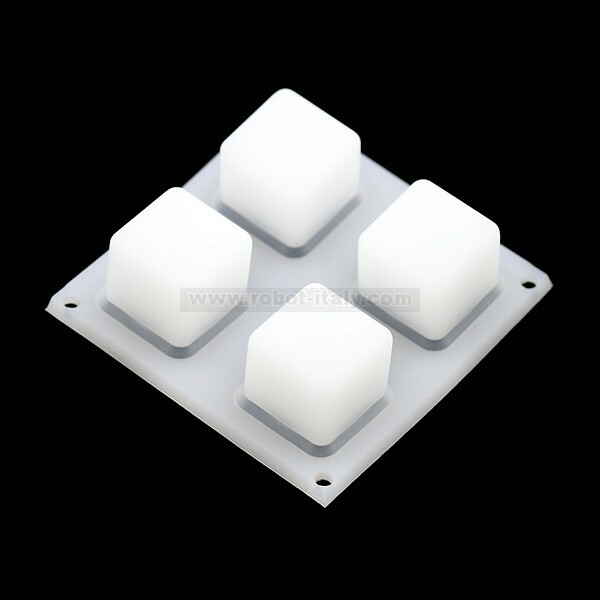 Mainly, we wanted to use our tri-color LEDs to create a full RGB color for each button. 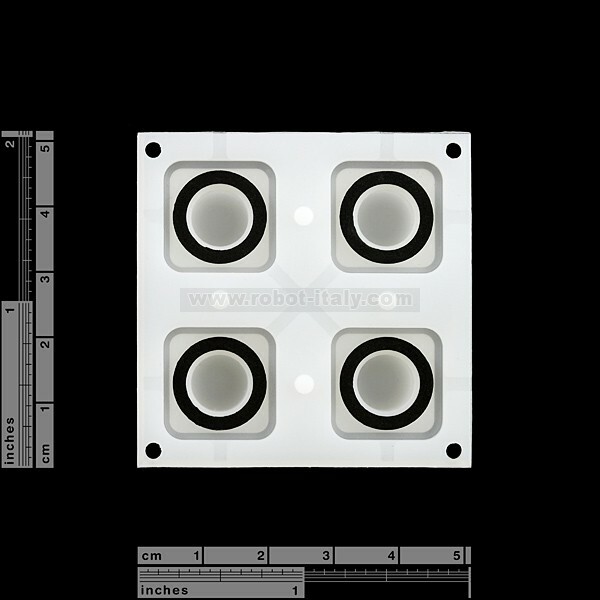 This is a black plastic bezel, custom made to mate with the silicon rubber pads. Black 1/8" ABS plastic.